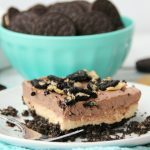 Peanut Butter Oreo Dessert – Fluffy layers of fudge and peanut butter on an Oreo peanut butter cookie crust! My husband, Josh, loves peanut butter and chocolate. Who am I kidding? 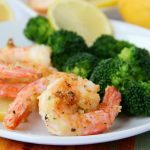 Our entire family loves the flavor combo. 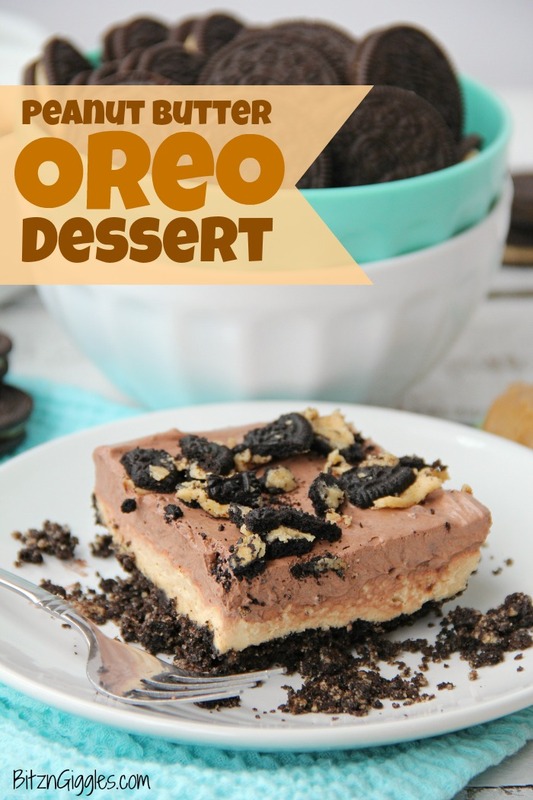 Reese’s Peanut Butter Cups are a favorite around here, so you can imagine how this Peanut Butter Oreo dessert went over. It was pretty much cleaned up the day I made it. 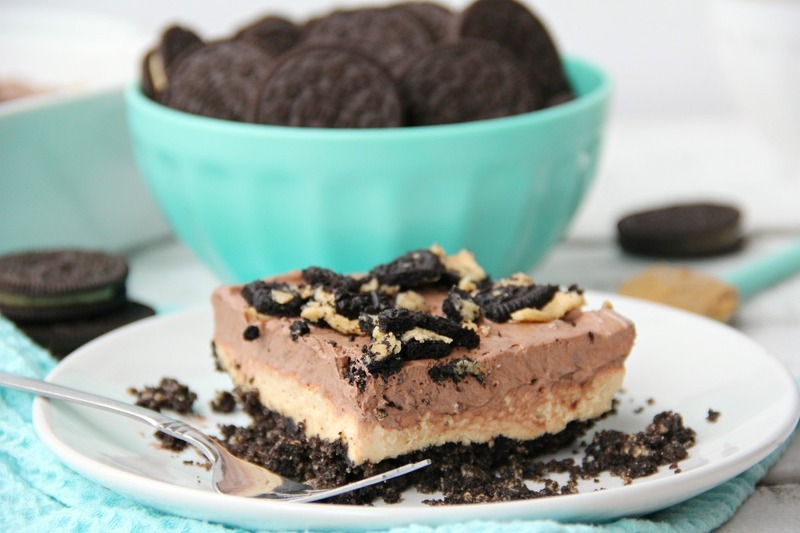 The dessert begins with a peanut butter Oreo crust. I just put my Oreos into a plastic ziplock bag and use a rolling pin (I was too lazy to drag out the food processor). The peanut butter, cream cheese and whipped topping layer comes next, followed by the chocolate fudge pudding layer. It’s up to you whether or not you want to sprinkle more than just additional crushed Oreos over the top of the dessert. Mini Reese’s Peanut Butter Cups would be another option, but even though we LOVE Reese’s Peanut Butter Cups, I felt the addition of them along with the cookies would have been TOO much. If the dessert still seems a bit sweet for your liking, try using sugar-free whipped topping. 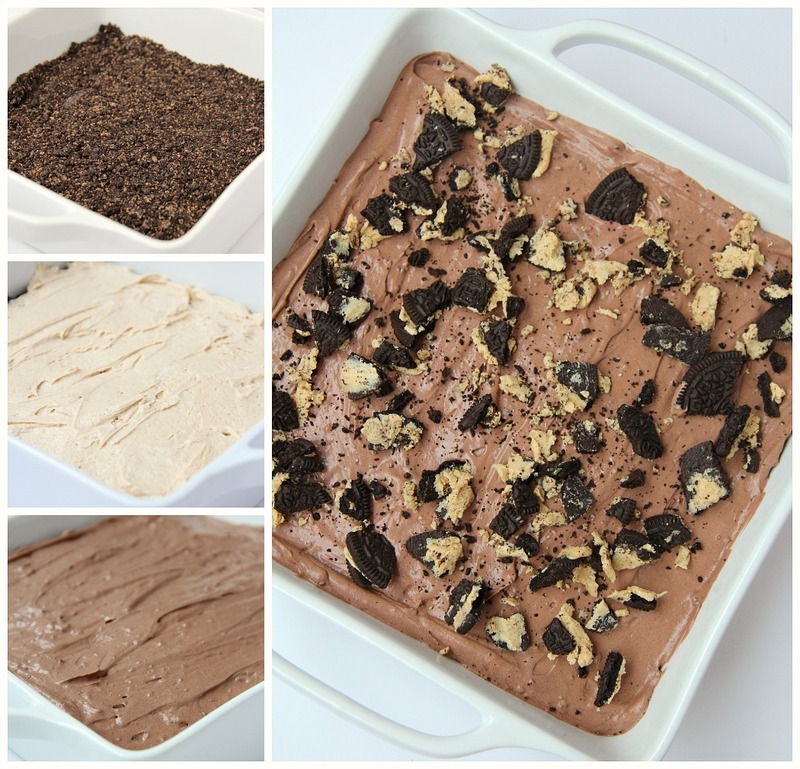 After the peanut butter Oreo dessert had set in the fridge, I began wondering why I didn’t just double all of the ingredients and make a 13″ x 9″ pan of this deliciousness. Then I reminded myself there would be plenty of parties and potlucks this summer where I could serve this dessert. I’m content with that. If you can’t find the Peanut Butter Oreos, it’s fine to just use original Oreos. It won’t be as peanut buttery but it will still be amazing. I promise. Wondering when you can try this dessert out for yourself? 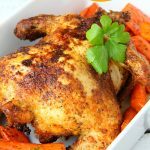 Plan to make a pan of it for Mother’s Day or just print out the recipe and hand it to your husband to whip up for you. I know he could handle it. 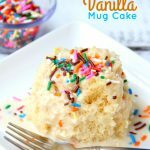 Heck, my 9-year-old could make this dessert. . .for sure. JUST TRY THIS and enjoy every bit of it, down to the very last forkful! 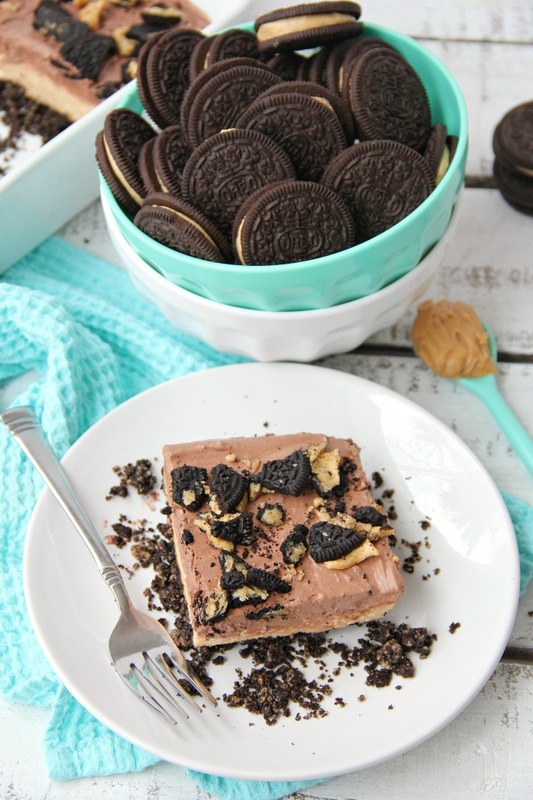 Love Peanut Butter & Chocolate? 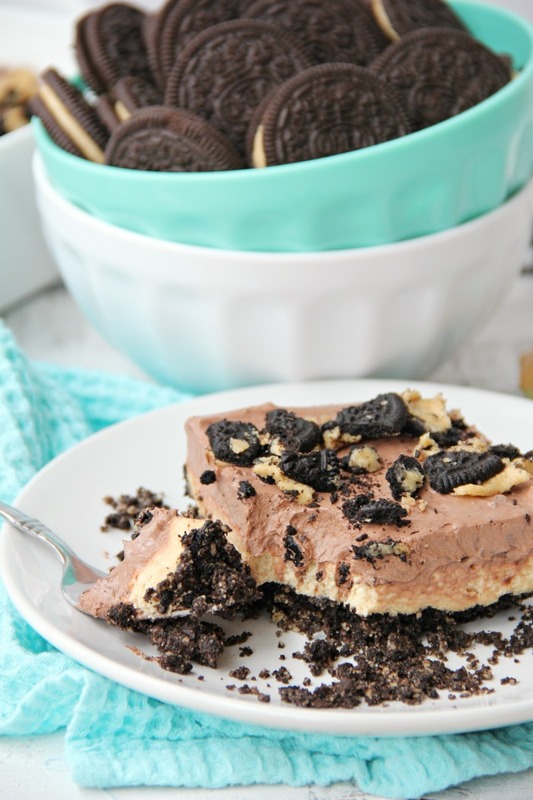 Fluffy layers of fudge and peanut butter on an Oreo peanut butter cookie crust! Crush 18 cookies; toss with the butter. Press into an ungreased 9 inch square dish; set aside. 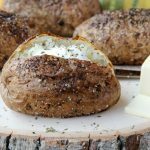 In a large bowl mix the cream cheese and peanut butter. Fold in half of the whipped topping. Spread peanut butter mixture over crust. In another bowl, beat the milk and pudding mix until it begins to thicken. Fold in remaining whipped topping. Spread pudding mixture over peanut butter layer. Crush remaining cookies and sprinkle over top of dessert.